A leaky dishwasher is hazardous and messy. There are various reasons for this. A loose hose is a common cause of leaks. If the drain tubes are not fitted properly, water could seep through. Another cause of the leak is a worn gasket. The gasket can rip, causing water to leak through. A repair technician can replace the gasket for you. Detergent errors can also cause leaks. If you’re using too much detergent, the soap suds may flow onto the floor. The low-quality detergent may also cause the same problem. Mineral compounds in detergents and water can lead to a corroded tub, resulting in leaks and holes. If the damage is not too extensive, your dishwasher can still be fixed. A broken inlet valve can also cause leaks. Check the bottom of the dishwasher, and if you see water there, the problem is most likely caused by a broken inlet valve. You should also check the gasket. If you cannot find any apparent damage, you should clean this part with an all-purpose household cleaner and sponge. The tub can also overfill due to a float switch jammed in the lowered position. Clean the float switch. If you don’t want your kitchen to look messy, you should use a detergent made for dishwashers only. Hand dishwashing liquid will produce leaks as it will over-foam. You should also check the dishwasher door to see if it needs to be adjusted. Close the door and latch it. If the door jiggles, it is very loose. Run the appliance and listen. Push the door, and if the sound gets softer, the door is very loose. You can adjust the adjustable latch plate to tighten the gasket seal. Adjust this plate in small increments and test the fit after every adjustment. If the leak persists even after adjusting the latch plate, you should replace the door gasket because it’s probably worn or cracked. If you are not confident to do this by yourself, you should call a dishwasher repair technician to do the job for you. This is particularly important if you cannot make the replacement gasket watertight. After all, you don’t want to cause further damage to the appliance. By hiring dishwasher repair Manhattan or dishwasher repair White Plains, you can extend the lifespan of your appliance. You can also save money and time as you don’t need to buy a new appliance so soon. The repair technician has the right tools and expertise for the job, so you don’t need to worry about anything. You can have peace of mind knowing that your appliance is in good hands. Moreover, you don’t need to wash the dishes manually. You can put everything in the dishwasher and do other tasks. 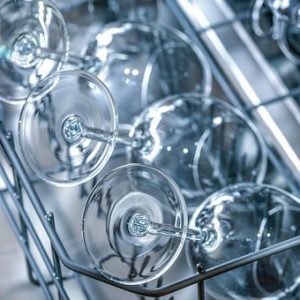 Look for an expert in dishwasher repair Yonkers, Manhattan or White Plains and you won’t have to worry about buying a new unit soon. This entry was posted in Dishwasher Repair and tagged dishwasher repair manhattan, dishwasher repair white plains, dishwasher repair yonkers. Bookmark the permalink.